Silver Finish Slim Design Cerated Edge. The world leader in men's apparel, Van Heusen's quality accessories are carefully selected to bring you on trend seasonal patterns, fabrics and timeless basics. 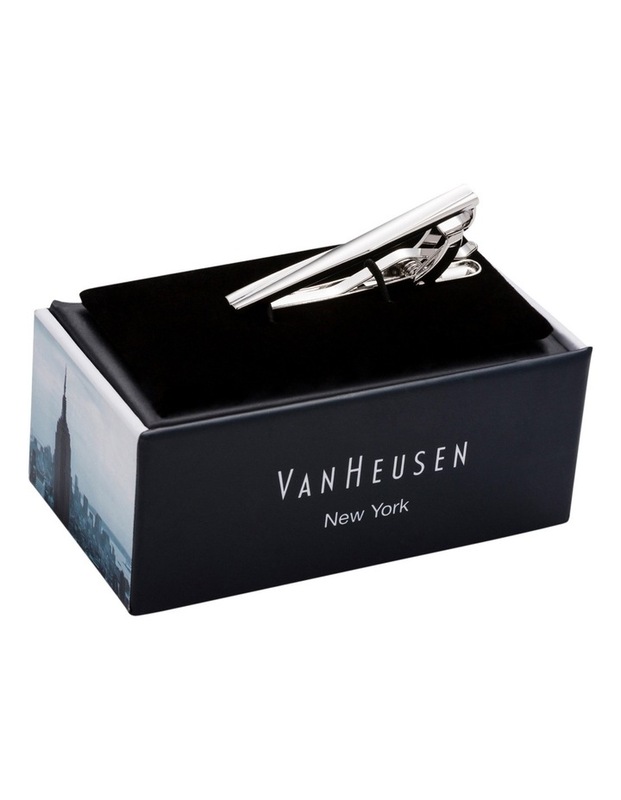 Classic and elegant, this Silver Tie Bar with slim design will add the finishing touch to any business or formal attire.